Are you working in Saudi Arabia under different sponsor from the one on your visa; over-staying when your visa or iqama has expired; are you helping illegal expatriates by employing them, transporting them, or sheltering them? 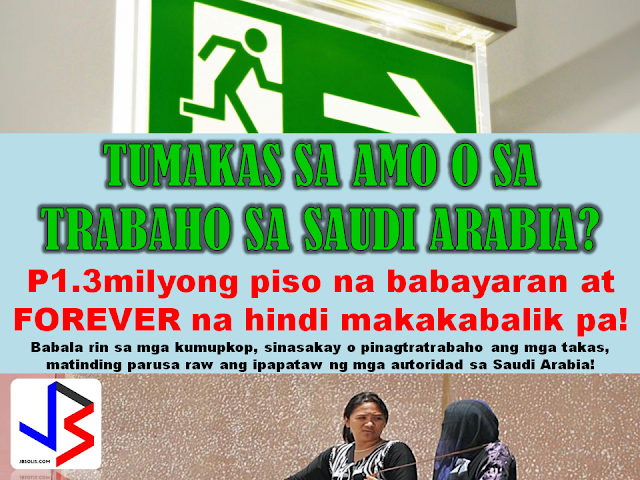 These are against the rules of Saudi and you could end up sanctioned and deported. 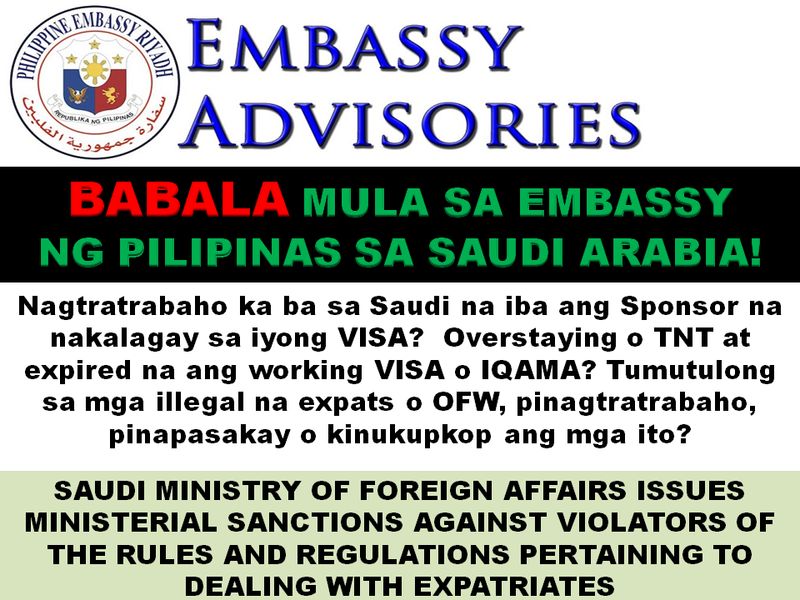 The website of the Embassy of Philippines in Saudi Arabia recently published information issued by the Ministry of Foreign Affairs. This pertains to the sanctions or penalty that will be given to expatriates who violates rules and regulations in the Kingdom of Saudi Arabia. In the Ministerial Sanctions defined by Saudi MFA, penalties for expatriate violators were defined. Some violators includes expatriates who are free lancer or those who have Kafeel, over-stayer or those whose visa or iqama are already expired. Expatriates who are also helping and protecting illegals by any means like employing, sheltering, or transporting them will be fined and could face deportation, imprisonment, and confiscation of car or transportation. (14 November 2016) The Philippine Embassy wishes to inform the Filipino Community in Riyadh that the Saudi Ministry of Foreign Affairs issued its Ministerial Decision Circular which contains the sanctions to be imposed against violators of the rules and regulations when dealing with expatriates in the Kingdom of Saudi Arabia. The matrix includes sanctions on the violations such as, protecting or harboring an expatriate, delay of departure of an expatriate after expiration of entry or exit visa, and employers who allow their workers to work for other employers under their sponsorship. The matrix includes sanctions for those who are protecting or harboring an expatriate; delay of departure of an expatriate after expiration of entry or exit visa, and employers who allow their workers to work for other employers under their sponsorship.